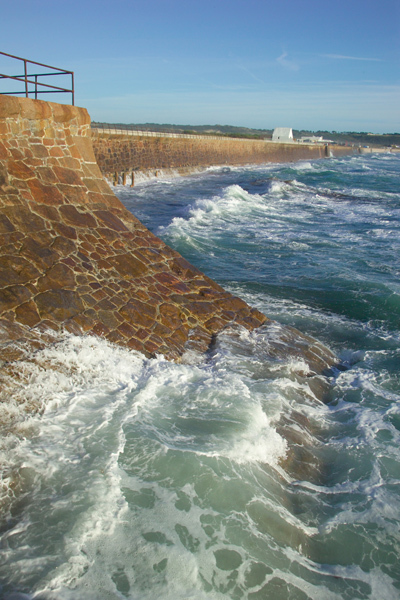 Photograph of Photograph of waves crashing against the Seawall, St Ouen's Bay, Jersey, The Channel Islands. On the west coast of Jersey, St Ouen's Bay has some of the best surfing in Europe. VIEW: More images from the category St Ouen's Bay, Jersey, The Channel Islands or around the same time .